Things like novels, music and art do benefit individuals in the community, but that's a side effect. You're really doing it for yourself, because it's such good fun. The arts don't really matter as much as we try to convince ourselves they do. John Lennon said of the Beatles, 'We were just a band.' In the same way, so many occupations are more essential to the smooth running of society than 'novelist.' Just be thankful that the real stakes of our creative expressions are so low, and forget about wanting to be more meaningful, heavy and significant than others. 2) Don't throw your money away on a tertiary education in the arts, because you don't really need it. 3) Stop whining and feeling hard done by. The world owes you nothing. It's not the world's fault that you wanted to write. It's not the world's obligation to enjoy your books, either. Complaining is annoying and hackneyed, and nobody listens anyway. What's more, it scares away inspiration when you're in such a black mood all the time. Might as well start reminding yourself that the reason you chose this path is because you enjoy your work. Frustration is part of the job description. Don't murder your creativity by demanding that your art pays the bills, when it's really not that sort of job. 4) Creative expression makes a bad career but a wonderful vocation. The usual rules don't apply. We're often told, 'If you work hard at something, you'll likely succeed.' Not necessarily so in this case. Gilbert points out that the patron goddess of creative success may seem to reward charlatans and ignore the gifted. Don't even worry about it. When it comes to this sort of occupation, we should reconsider our definitions of success anyway. 5) Work from an attitude of stubborn gladness. Have faith that your creative work loves you as much as you love it. Choose to work with a light, trickster energy, rather than a heavy, martyr one. Trust that the unseen forces happening in your life are on your side. It doesn't matter what's going on as you work. 6) Stop trying to feed the Hungry Ghost. Choose curiosity instead, which is less intimidating sounding, more mild and welcoming. And don't call your work your 'baby.' So many people do this, but it's really nothing like a human child. This way of thinking may lead to a precious, possessive, 'don't touch' attitude when it comes to editing and reception in the world. And all this leads to my favourite quote from the book. You may end only with the satisfaction of knowing you passed your existence in devotion to the noble human virtue of inquisitiveness. And that should be more than enough for anyone to say that they lived a rich and splendid life. I've been thinking about the reasons why I enjoy blogging, and also an addition which will probably prove to be worthwhile. Keeping a book blog is a good, cheap hobby. Not long ago, I was toying with the idea of trying to make soap or bath bombs, thinking it might be nicer and more cost effective than buying them from shops. It took no time to see that the prices of citric acid, scents and other things I'd need would add up quickly to more than I could spare. My daughter reminded me how much money she's poured into her craft hobbies, which she's earned from her part time jobs. I can't really follow her example, because I never have a spare dollar lying around. Working on this blog, however, can be kept down to free, if I plan it right. Requesting books from blogging programmes, borrowing them from the library, or accepting people's requests for reviews costs nothing. The craft I am working with is my own thoughts. So not only am I not spending money, but I'm also saving money, in the form of free books. It helps what I've read to stay in my head. 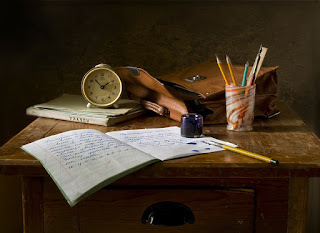 When I was still homeschooling my two elder kids, I used to set them the challenge to find something good, memorable or interesting about any book, movie or event, no matter how tedious it might have seemed on the surface. I remember when my pastor challenged us all with something similar. He'd been speaking about the story of Balaam and said, 'If God can speak through a donkey, he can also speak through me.' If you don't record impressions though, they're more likely to filter through your brain without leaving a trace behind. Processing my thoughts about books often turns into a keepsake for me. I even print some of them off so I can keep them in a folder to refer to when I need a bit of a mood boost, or reminder of why some particular author impressed me so much. And of course, I do the same by skimming through the titles of all the fiction and non-fiction I've now reviewed up the top of this blog. So I'm looking forward to providing even more this year. But here is the change from now onwards. I've decided to start adding genres and categories. In the past I didn't bother so much with classifications. I believed that where it hasn't been obvious, it didn't matter because a good book is a good book for everyone. However, now I'm writing more of a variety of reviews, I thought it might be helpful after all. I've been writing the occasional review for RISE Magazine, a South Australian publication focusing on Christian content. This year, I've also started doing some reviewing for The Book Curator, a magazine designed to help school librarians make their selections with all sorts of books.That means I'll be reading more Young Adult novels than I have for several years, which I'm looking forward to. In both cases, I have permission to use reviews on my blog too, if I tweak them a bit so they're not completely identical. So from now on, I'll be including a line up the top of each blog review, indicating the main market the book is aimed for, whether children, YA or adult, and also whether it's aimed at the Christian or General market. 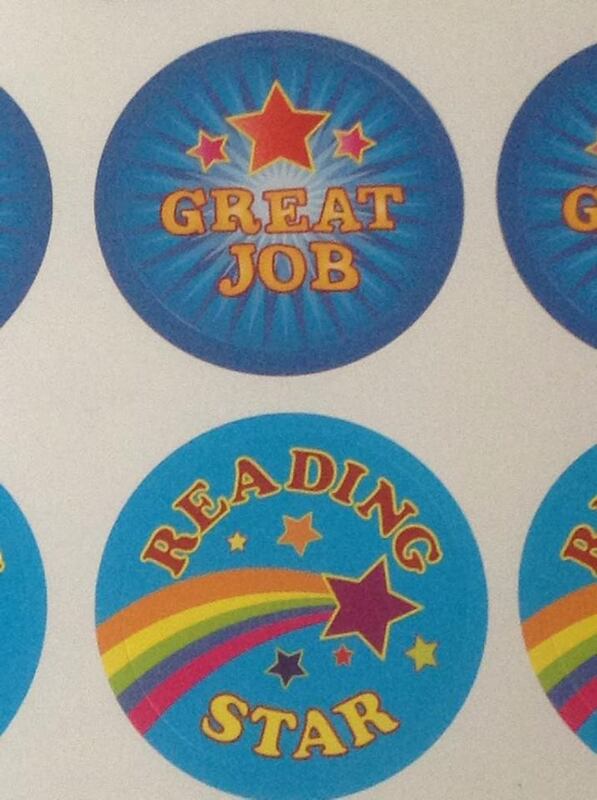 I hope you'll stick with me and keep getting ideas for your reading pile. Fourteen Authors from around the world have contributed their stories to raise money for PLAN Australia. 'Like a Girl' is a celebration of the strength and resilience of women, told in a variety of genres and voices, the proceeds of which will help empower girls and women all over the world. Featuring stories and poems by Jeanette O'Hagan, Avril Sabine, V. Hartman Di Santo, Kathryn Hagan, Mary Grace, Coralyn Swift, Christina Aitken, Mark Taylor, D.L Richardson, Mimi Emmanuel, Erin Yoshikawa, Druscilla Morgan, Michelle John and Mirren Hogan. This blog tour was started by Jeanette O'Hagan, one of the contributors and authors who helped put this anthology together. Having practised medicine, taught theology, and recently earned a master's degree in creative writing, she's well qualified to talk about the importance of education for girls. She's also working on a fascinating fantasy adventure series. You can visit her blog here. 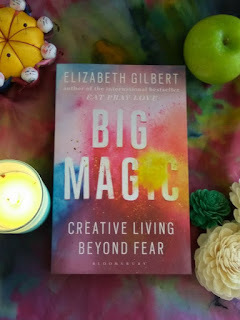 When I received an opportunity to read this anthology and join the blog tour, I was happy to jump on board. For a start, I was interested to see how these 14 authors would address the topic of education for girls. Many people assume that modern women of the western world have now been liberated for years, and that equal opportunities abound in tertiary education institutions and workforces. I don't really buy into that. It's true we've come a long way since the early twentieth century, when suffragettes and feminists changed the world for women, but roadblocks still face females everywhere. They might be even harder to smash, for being embedded in attitudes rather than solid and in our face. Sadly, many females assume stressful lives are the norm, and I believe it's partly because we tend to find ourselves in a no-win situation when it comes to earning approval. Many males probably don't face the same sort of implicit judgment no matter what they choose, but females still tend to come up against either a rock or a hard place. Those who devote years of service to keeping a home and rearing children are said to have 'settled' for a life of drudgery and self-sacrifice, while those who choose career are criticised by many for neglecting family, their most precious resource. And those women who try to juggle both may find themselves exhausted from performing this emotional balancing act 24/7, since either focus, work or family, has the potential to demand our all. That's why I find stories like these refreshing, and they make an impact when they're bound in one unique collection like this. They show that every girl deserves support in whatever path she chooses, and no other person has a right to question those choices or try to stop her. Pursuing a consuming career is fine, and may empower us to make our own positive mark on society. Becoming a household manager is also fine, and certainly involves a lot of finesse and fine-tuning. Throughout these stories, I noticed other subtle but huge pressures borne on the shoulders of girls everywhere. (Or maybe you find them not so subtle in your own life. Either way, they seem to get us all at one time or another.) That's the pressure to fit in, earn nods of approval from influential crowds, and look pretty. We hate that physical appearance has to be such a pervasive criteria for women, yet we still buy into it. Some of the girls in these stories have refreshing takes on that one. The girls you'll find in these pages come from a variety of places and times. Fantasy worlds, simple, native worlds, suburbia as we know it, space missions. Some are involved in life rescuing missions. What they all share is a thirst to learn and drive to follow their passions, despite discouragement from outside sources. I congratulate everyone who worked on this book, for the final product. I consider myself fortunate to have been able to educate my three children at home at the same time as working on writing novels. Having had unlimited access to books and other sources of knowledge, I'd love to see the same for any other woman who desires it. Next stop in line will be the blog of Mimi Emmanuel, who loves to share words of joy and peace through her writing, and delving deep into the words of Scripture. You'll find her blog here. 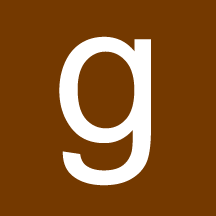 Like A Girl anthology is available for purchase from the following sites. 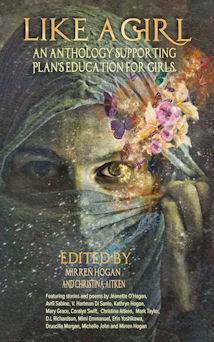 The profits earned from sales of this book will be donated to PLAN Australia, who are dedicated to improving education standards across the world for girls. As teachers prepare to return to another school year, here is a tribute to them. I believe they make an enormous impact on what may happen down the track in the life of any individual. A simple word from a teacher in our early years has the potential to influence how we perceive ourselves, and what we become. I always remember when my English teacher took me aside to recommend that I aspire for her job, as English teacher. Although that never happened, her words helped me stick to writing. I've chosen 15 teachers from stories, and the fact that there's so many to choose from also indicates the significance of their role. He might be one of the least well known on my list, but this man had a true calling for teaching, rather than just filling in time earning money. He used games and role-play to help his students learn history and geography. And he quickly intuited the strengths and weaknesses of each of his pupils, and tailor-made lessons for them accordingly. She's strict but has piercing insight into the characters of her students, and is very fair. Even though she's the head of Gryffindor House, she never hesitates to take points off them if she feels they deserve it. And she's brimming with common sense and compassion too. Even though she's younger and smaller than some of the country bumpkins she's sent to teach, she manages to win them over by being herself and proving that she's interested in each of them as people. She's canny enough to recognise sneaky shenanigans and prove that she can play their own game, especially with the cheeky Clarence Brewster. I guess a girl with such a fertile imagination and thirst for knowledge can't help inspiring students with her own enthusiasm. Even when she loses her temper and whips Anthony Pye, things end up turning out well. She wouldn't get away with that in the 21st century though! I used to watch this each night when my kids were small, and loved him. His class would complain that his standards were too high, and that he wasn't as much fun as the lady across the hall, but they knew he had their backs and was capable of getting good work out of them. Not only did he manage to win the friendship of his class of racially prejudiced teens from the wrong side of the tracks, but he helped each of them understand that they were capable of far better work than they ever would have imagined. He's a teacher who succeeds in helping students with inferiority complexes raise their own opinions of themselves. You can't ask for more than that. This man inspired his class of troubled and repressed private school boys to think like the great philosophers throughout history and 'Seize the Day!' Through unorthodox lessons, he encourages them to become originals rather than followers of the crowd. Things didn't end well for him, but what a champion. His school boys were his life, plain and simple. He gave a lifetime of blood, sweat and tears to his place of employment, Brookfield Grammar School. It got to the point where he was able to understand deeper aspects about new pupils from the outset because he'd also taught their fathers. What a guy. Despite his dodgy syntax, this teacher has successfully trained generations of Jedi Knights. He knows how to fill their head spaces with necessary skills and challenges them to get the best out of themselves. And he has enough quotes to fill a philosophy book. A better teacher to find is hard. She forms cliques with nasty girls, holds grudges against other students such as Laura, and gives unfair punishments which far exceed transgressions. What's more, Miss Wilder lacks the skill sets a teacher needs. When most of the class decide on mutiny, her feeble disciplinary attempts get her nowhere. I can't help wondering what happened when Laura Ingalls Wilder decided to write these candid details for the whole world to read about the lady who later became her sister-in-law. Surely it would have caused an irreparable family rift. Or maybe there was always friction between Laura and Eliza Jane, and the stories were just another shot in Laura's arsenal. She breezes into a teacher's appointment without a clue as to the character of the town and its folk. All she wants is to stamp the cookie cutter methodology she's been taught at teacher's college onto every young individual in her class. She's too shallow to recognise compassion and help when it comes in an unlikely package. Instead of thanking Scout Finch who offers to explain the idiosyncrasies of different families, she smacks her instead! A bad egg indeed. At first she just seems like a condescending control-freak without a clue, but her nastiness turns out to run deeper than that. And her own personal ambition and grasping for power knows no bounds. The students decide to take matters in their own hands the year she became Defense against the Dark Arts teacher, because she's simply not teaching them anything of practical value. That's bad enough, without all the other on top. I watched this movie with the kids some time ago. This man's intentions to be a great teacher are genuine, but he succumbs to cheating, and it's a downward slide from there. When you surreptitiously boost your favourite student's test results to get him into an elite competition, it's not going to end well. Especially when the boy who rightfully made the grade has no chance now. OK, he's complex enough to be in a class of his own and I'll leave it to the individual to judge him as a person, but surely anyone would admit that as a teacher, he's trash. 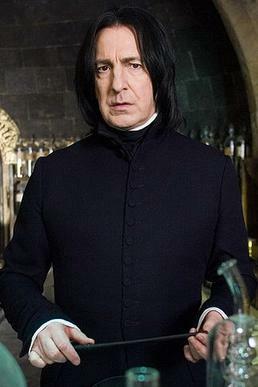 He uses sarcasm and shame liberally, and favours the Slytherin students, to boost the school house of which he's head. Yet you have to admit that he does elicit good results from his Potions students, and knows what he's teaching. So there's enough of a list to prompt a reading or movie marathon. If you can think of any other examples of great or deplorable teachers, either real or literary, please let us know in the comments. And I wish all teachers and students a good start to the academic year, which commences soon. The fascinating lives and turbulent times of Henry Lawson and Andrew 'Banjo' Paterson - the two men who wrote Australia's story. Today most of us know that Henry Lawson and Andrew 'Banjo' Paterson were famous writers. We know about Matilda, Clancy of the Overflow and the Man from Snowy River; The Drover's Wife, While the Billy Boils and Joe Wilson and his mates, but little else. Here, in a compelling and engaging work, James Knight brings Henry and Banjo's own stories to life. And there is much to tell. First off, they were born just three years apart. I never realised our two famous Aussie colonial poets shared so many similarities. They started having their work published in Sydney's paper 'The Bulletin' about the same time, and both were regarded as proteges by the proprietor/editor, J.F. Archibald. Their fathers died within a short time of each other, both aged 56. Both young fellows started keeping an eye on each others' work, and most importantly, they were both 'looking for the same reef' as Banjo expressed it. But by the same token, there were many gaping differences. Andrew Barton Paterson, who was known as Barty, was born into a family with quite a few connections. He was related to Edmund Barton, our first prime minister, on his mother's side of the family, had a private school education and became a solicitor, which bored him. Henry Lawson was born into a struggling family trying to make a go of it in the bush, and had major struggles with depression and alcoholism. While Banjo romanticised the bush, Henry highlighted the toil and heartache. They worked with the same subject matter, colonial Australia, but each focused on different sides of the same coin, and it could be argued that both angles were true. I enjoyed these glimpses of the pair of them. On one hand, they were illustrious Australian poets worthy of studying in school. Yet we see them here as a pair of spirited young rivals in their 20s having a war of words for ratings and having (mostly!) friendly digs at each other. I'd never heard about the competition they cooked up between them. It was awesome, and sent me off searching for the poems which were weapons in the battle. This is a book you won't want to read without doing lots of google searches just for fun. It's not as simple as saying that Barty was born with more opportunities than Henry, since Henry comes across as one of those tragic, melancholic souls who managed to squander all the good that came his way. I wanted to shake him for his self-sabotage. His relationship with his mother Louisa, famous in her own right, is shown here as complex and not always amicable. She warned her young friend Bertha Bredt, 'Don't marry Henry.' The girl replied that she was going to, because she loved him so much. History shows what happened. Henry's mother was right. Banjo strikes me as our Australian version of Shakespeare, since young modern people enjoy a lot of what he created without even knowing it. They may watch 'The Man from Snowy River' movie, and sing 'Waltzing Matilda' oblivious of the young man who created them. He seemed to get sparks of sudden inspiration from events in his life. That made it really interesting to read how works I've already mentioned plus 'Clancy of the Overflow' came to be written. I'll tempt you by saying that 'Waltzing Matilda' turned out to be full of romantic faux pas for him. It's a book which left me with many questions to ponder. Did each of them find that life delivered exactly what they expected it to? The philosophy that life is our mirror seemed to be borne out for them, with the more sanguine Barty taking blows more cheerfully in his stride than sensitive Henry, who absorbed heartache and took everything so hard. And they're known as 'the men who wrote Australia.' Does that mean we're getting an accurate impression of colonial Australia from their work, or is it coloured by their own personalities? For example, are we getting an overly rosy picture which Barty romanticised it to be from his own longing to be out of his office? Star Rankings - A help or a hindrance? It turns out that a man named Edward O'Brien was responsible for this system I've both loved and hated. He was an author/editor who was working on an anthology of short stories around the turn of the last century. For his own filing ease, he decided to give each one a ranking of one, two or three stars, depending on whether he found them great, okay or deplorable. O'Brien's idea caught on among his peer group, or if they'd lived in our time it might be said to have 'gone viral'. Eventually, his original three star ranking system expanded to the five star one we all know so well, for it's used for pretty much everything from motels and restaurants to cosmetics, household appliances and books. When it comes to books, I've had plenty of experience with stars, both on the giving and receiving end. I discovered an article by a couple of authors who have made an interesting point. In their opinion, deep in our hearts, we never regard the star ranking system as the simple scale it professes to be. Instead, it's actually a binary system consisting of only two levels, Pass (5 stars) and Fail (4 stars and less). Do you think it would be nice to cut through all the angst and second guessing? Star rankings can evoke misleading impressions when they stare us in the face. People have told me, 'An author got upset because I gave their book three stars, but I don't understand why. Three means it's pretty good, doesn't it?' Well, I can tell them why. The sight of three stars out of five may scream ho-hum, mediocre, luke warm and lacklustre to some people. And as for a single star, I came across one reviewer who wrote about someone's book, 'This trash doesn't deserve any stars at all and I hate being forced to give it one, but had to, as it's necessary for me to post my review!' 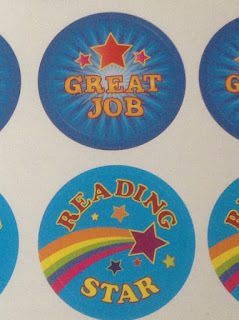 Why don't we scrap star rankings altogether and use emoticons instead, to give a broader impression of our visceral responses to the books we read. I think that would work for me, because my rankings are based on the emotions they stir up anyway. When it comes to books many things can influence a ranking, but I think focusing on just one makes them more consistent across the board. I ask myself these sorts of questions? Did the author pour a lot of heart and soul into this book? Do I still dream about these characters after I finish the story? Do I hear their voices in my mind? Did I laugh or cry out loud? If the answers tend to be 'yes', then I've been known to give 5 stars even if the writing craft isn't quite right. In fact, if those technical issues are a bit off, yet the book still hooks me, it may be argued that it deserves five stars more than ever! I'd give emojis my vote if I was asked, but I don't think it's something that will happen in the short term. 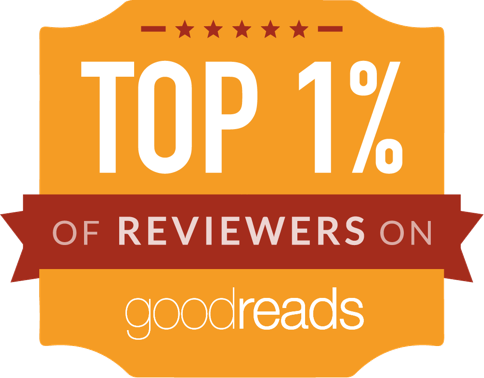 We'll keep up our star-gazing, wondering what inscrutable reasons people have chosen to rank our books, and try to be fair and honest in our rankings of others. That's where a good review is invaluable. I try to explain reasons for my ranking, so that they're clear to anybody who wants to read them. Whether or not you agree with them, at least they're laid out, plain, simple and fair. And I appreciate it when others do the same for me. There are certain messages today, both outside and inside the church, that have tainted the true message of God’s favor. The reality is God isn’t obligated to provide good things for us—but He wants to! This is your opportunity to adopt a favor-minded mentality and realize that God’s favor, like His grace, is unearned, limitless, and never-ending. And, it’s for us! It's good to see a book about divine favour which focuses more on acknowledging and expressing thanks for what we've already got, rather than giving us tips to stir up more and more. I've read several of the latter sort over the years, and often what they stir up is a feeling of discontent and falling short. Kevin Gerald begins with the premise that our attitude should be like wearing polarised sunglasses. What we choose to look at comes out in sharpest focus, whether we choose a positive or negative stance. Choosing to focus on the good isn't denying life's ups and downs, but helps us to notice little blessings we might otherwise overlook. The book points out that so many of us unconsciously live from the premise that we don't have approval and need to earn it. This mindset is backed up by Old Testament stories about God choosing to turn away from his people for whatever reason. Reading them may fuel a common belief that God's favour is performance based, but Gerald discusses how the new era of New Testament grace is completely different. The 'on again, off again' relationship between God and his people is a thing of the past, but it's so easy not to grasp that. That's why we buy into the stress and burn-out of making approval earning our way of living. 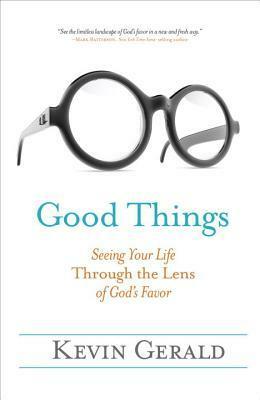 Using stories, examples and personal anecdotes, this book is a great reminder that we should live from the premise that we already have approval, then look for signs of that, because we're bound to see them. Thanks to Blogging for Books and WaterBrook Multnomah for giving a review copy through Net Galley. I picked this one up from the library because someone had called it one of their favourite, mood-lifting books. This retired astronaut describes some of his space missions in interesting detail, but the deeper purpose of his book is to share some hard-learned wisdom. 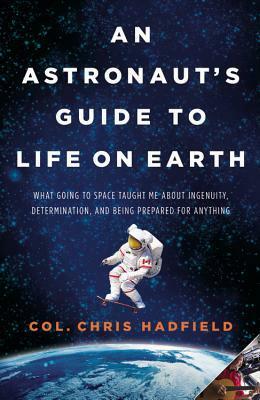 Hadfield believes it has spilled over to help his life on earth run smoother, and hopes the same may apply for his readers. Some of the problem areas he highlighted have certainly struck a chord with me, helping me understand whey they've been problem areas. There are several, and I'll focus on the ones which were most meaningful for me. 1) Keeping your attitude on an even keel. The ratio of working hard on earth to launching out in space averages several years: a couple of days. Any sudden hitch may completely derail an astronaut's chance of joining a space mission. You must work with the knowledge that you may well be one of those who never go up at all, so it's best to make up your mind to feel good about the work you do during your long, unheralded, working, learning life on earth. As too many variables are out of your control, you might as well manage the only one you have any control over; your attitude. In terms of my writing, as a school kid I'd dream of hitting best-seller lists and earning big money. But out of trillions of writers, very few ever make it to the very tip of the peak, so realistically, why should I be one of them? Just plugging on and enjoying the process makes far more sense. The work is fun and rewarding for its own sake. 2) Aim to be a zero. He identifies just three types of people present on any space mission. Minus 1s are pains in the neck who make a shared experience miserable. Zeros are neutral, adding nothing either way. And Plus 1s are those who add something positive and good to everyone's benefit. Hadfield has noticed that although everyone wants to be a Plus 1, those who make too big an effort to prove themselves worthy of the title tend to be regarded as Minus 1s. The real Plus 1s tend to be quiet, get-on-with-the-job types who don't scramble for attention. His advice is that the best, round-about way to possibly become a Plus 1 is to simply aim to be a zero. I'm sure we've all noticed that those who try to crowd themselves into the spotlight become wearing very fast, and I've always had a niggling feeling this might be the case whenever I've tried to do it. 3) Don't focus on what the world might call your proudest moments. If you take all the hype to heart and set the bar so high, you'll feel like a failure most of the time. He makes sure the medium and small moments that nobody knows about but him get the significance they deserve in his own mind. The challenge, he says, is to avoid being derailed by big, shiny moments that turn other people's heads. 'It's a given that today's star will be tomorrow's stagehand,' he says, meaning that the significance of your work shouldn't be determined by how visible it is to outsiders. Bursts of glory from big moments fade quickly and are eventually remembered only by the participants themselves, no matter who you are. You must accept that the spotlight will move on, or you'll either be hobbled by self-importance or fear nothing else you do will ever measure up, is Colonel Hadfield's advice. It's sad to be mired in the quicksand of bygone celebrity. He reminds us that most people applaud the wrong things anyway. They are impressed by dramatic, record-setting sprints rather than years of dogged perseverance. What really matters isn't the value someone else assigns to a task but how you personally feel while performing it. When you limit success to peak, high-visibility experiences, you're destined to feel unfulfilled. That's why Chris Hadfield urges us to change our own idea of success and lower the bar. So for me, writing a review which is done in a couple of hours maximum is no less worthy than writing a novel like Picking up the Pieces that sold a couple of thousand copies and won an award, which is probably what I would consider one of my favourite achievements to date. It shouldn't necessarily be the case. That leads to my most memorable quote in this book. Life is a lot better if you feel you're having ten wins a day, rather than a win every ten years or so! I was surprised to read somewhere that the concept of walking for pleasure is reasonably recent. Recreational walking was only made fashionable in the nineteenth century, by writers such as Wordsworth, Thoreau and Baudelaire. Before then, apparently it was far more prosaic and purposeful. You'd walk to get from one destination to the next and not take a step further, no matter how picturesque the scenery. Can you believe that? I know people didn't have much free time in the Middle Ages or Industrial Revolution, but still! Charles Baudelaire, the French poet, admired the type of person he called the 'flaneur' - one who strolls with no purpose in mind other than to observe his surroundings. Baudelaire's own Parisian environment, with its shops, and tree-lined streets and boulevards, was perfect for his purpose. It caught on with his admirers, took off across the channel too, and suddenly, walking became a leisure activity. Perfectly able-bodied young men acquired walking sticks to prove they were serious about their hobby. I still can't believe this wasn't always the case. When I think back over the novels I've loved in the past, they are full of people who walked for pleasure in the same way they breathed. The young ladies in Jane Austen's novels wouldn't miss their constitutionals in towns like Bath, which would keep them fit with its steep hills. Granted, their underlying purpose may have been to catch the attention of the polished young gentlemen, but they were still doing it for fun. And over in cold Canada, the characters of L.M. Montgomery wouldn't be without their walks. Anne of Green Gables knew the sights of Avonlea like her own reflection almost as soon as she arrived. Others have written true life memories supporting this love. When Laura Ingalls Wilder was a girl, she'd stroll out onto the prairie with her sisters, being Mary's eyes, since Mary was blind. None of these girls were the sort of people who'd wait for permission, or latch on to fashion fads. 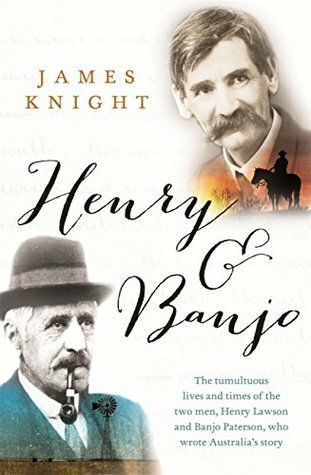 I've been reading 'Henry and Banjo' by James Wright. 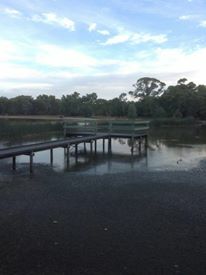 I discovered that, as a boy, Henry Lawson loved to walk, whether or not he needed to get somewhere. 'Walking was freedom, his escape from the sad box he lived in.' The text goes on to describe how he valued his walks so much because they gave him time to think. 'The mind and feet travel together, as if one is peddling the other,' was young Henry's opinion. I totally agree with him. Fashion has nothing to do with it. 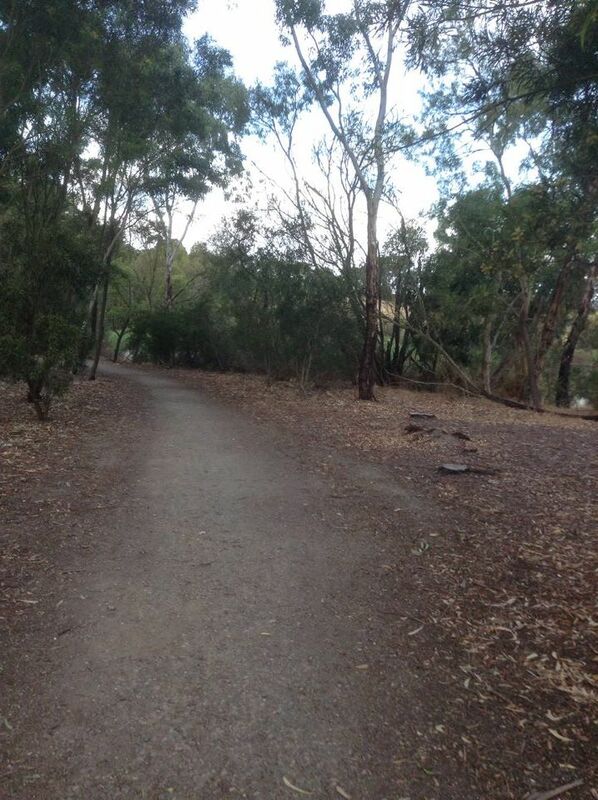 Surely an isolated ten-year-old in the Australian scrub, miles from fashionable civilisation, didn't set off on walks because some faraway British and European authors started recommending them. He wouldn't have had a clue what was going on over there. I'm sure walking is not a fashion so much as something many of us choose for our own benefit and joy. I started thinking about the time I decided to take up walking more regularly. It was when I was a teenager, and my reason at the time was to stay in shape. I was serious about my writing aspirations back then too, but considered them two things I did separately. I'd go off for a walk to get fit and for a bit of relief from study and brain work. But I soon found out how closely connected walking and writing are. Using my own two feet to travel down a road or trail helps to pump ideas into my head, similar to what Henry Lawson said. Maybe they're sparked by some of the scenery along the way, or maybe it's because the rhythm of my steps cranks up my subconscious mind and helps ideas to flow. I'm sure getting more oxygen moving through my brain doesn't hurt either, especially when I return to my desk or reading chairs. So walking and writing aren't mutually exclusive activities, but complementary ones which make us more effective the next time we decide to do the other. It's something we know deep down, and even if those trendsetters from the nineteenth century helped to make walking popular, it was surely because they knew the benefits too. In fact, I'm sure people from even earlier times got it too, even if they didn't call it by the names of leisure or sport. You can't convince me that Shakespeare's characters from plays such as 'A Midsummer Night's Dream' or 'The Tempest' weren't ever caught up by the scenery as they had their jaunts through forest or virgin island. 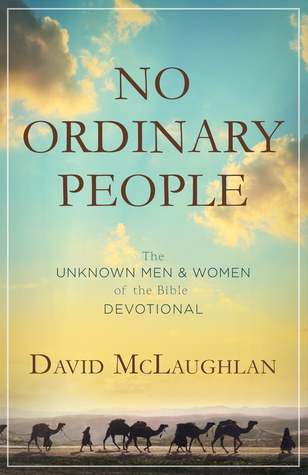 You can learn so much from the successes and failures, lives, humility, and obedience of unnamed Biblical people—and you will find great insights in No Ordinary People: The Unknown Men and Women of the Bible Devotional. This brand-new book features 100 in-depth, easy-to-read entries on the people behind the scenes, the everyday men and women, not the kings, queens, miracle workers, or leaders. These people, from the Good Samaritan to Pilate’s wife, played a powerful role in God’s plan for humanity and their stories were recorded for your benefit today. No Ordinary People can share important, even life-changing, principles for your quiet time. A great start for this year's reviews. What a tribute to nameless heroes and heroines! This devotional is written in honor of side characters in the Bible who barely get a mention. Maybe their role was over in just a sentence or two, or maybe they were mere observers. When I started reading about them, the one thing they shared in common was impossible not to notice. In almost every case, these individuals weren't named. To give an idea of the unexpectedness of those chosen, I'll mention just a few. There were Paul's sister and nephew, who somehow slipped through the cracks of my memory, the host of the Passover (you know, the man who owned the upper room where the last supper took place), and the servant girls who taunted Peter in the courtyard. You never know who will pop up in the pages next. Bible heroes we all know about, movers and shakers in the faith such as Abraham and Moses, Peter and Paul, really are in the minority. They are outnumbered by these faithful folk in the shadows, who are simply living their lives the best way they know how. I feel it gives us permission to be numbered among them, without feeling guilty about not being tallied among the 'great'. The omission of names is so consistent, you can't help but wonder whether they were withheld in the Bible deliberately, to show that 'making a name for ourselves' isn't the important thing we often make it out to be. These people have gone down in history for their attitudes and actions, which we can all benefit from without knowing whether they were called Hosea or Hananiah, Judith or Jemima. I love the deep life applications we can take from each story, with great prayers that get to the crux of where each person was coming from. I've often dodged devotionals, feeling that the shortness of the reflections tend to make them a bit trite, but this one is different. I'll be using it every day. 'I know that even if the rest of the world never hears my name, there will be a particular spot reserved only for me in your heart. It is enough,' one of the reflections says. This book convinces me that it really is enough. Thanks to Barbour Publishing and NetGalley for my review copy.